A 10-member team from the Ministry of Education/the National Qualifications Department/Sector Skills Development Agency (NQD/SSDA) of St Vincent and the Grenadines wrapped up a 4-day visit to Grenada Thursday, 28 June as part of a study tour of the National Training Agency (NTA) and its training partners. The NQD/SSDA, recognising the need to build the capacity of its officers as it relates to the development and implementation of TVET programmes leading to C/NVQ certification reached out to the Grenada NTA to facilitate the tour, it being more advanced in the granting of C/NVQs among the smaller member-states witihn CARICOM. 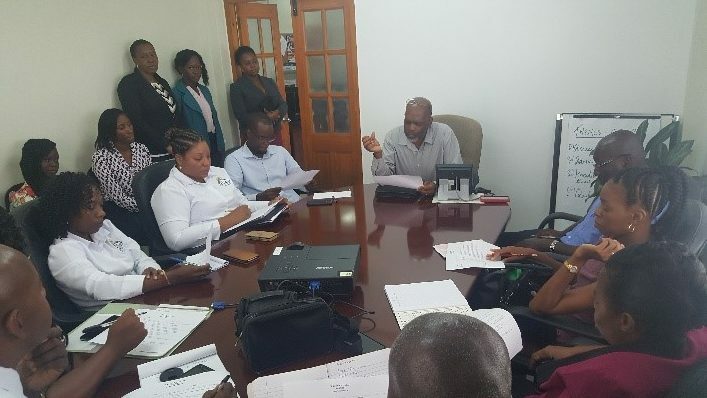 The overall objective of the tour was to examine the systems and procedures used by the NTA of Grenada in relation to best practices in the awarding of CVQs/NVQs. The team was headed by NQD Director, Kenroy Questelles. Several meetings were held which gave an overview of both the SSDA/NQD and the GNTA; which examined the procedures for validating regional occupational standards as well procedures for standards development; the CVQ in schools which was led by CVQ Coordinator in the Ministry of Education, Alwyn Fraser; centre approval and capacity building with regards to quality assurance and assessment; best practices for the implementation and administration of prior learning (APL) and enterprise-based training (EBT); monitoring and evaluation, communications, and the NTA’s Strategic Plan 2108-2020. The tour also included visits to training institutions such as the TA Marryshow Community College (TAMCC), the Centre for Development and Certification Training (CDACT) and NEWLO which are institutions implementing the C/NVQ within their training programmes. 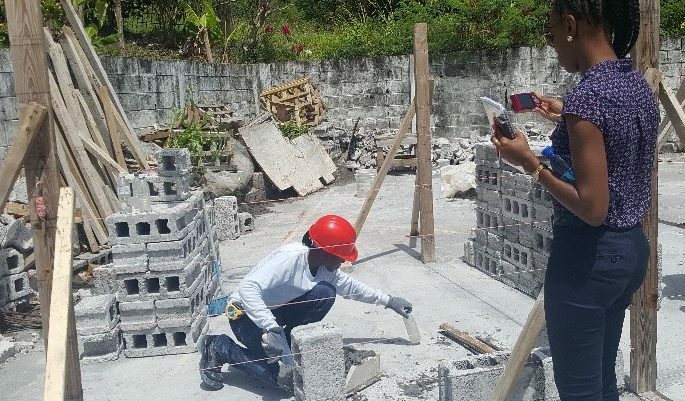 A visit was also made to the Westerhall Secondary School which has successfully piloted the CVQ in schools through a programme delivered in General Construction Level 1.